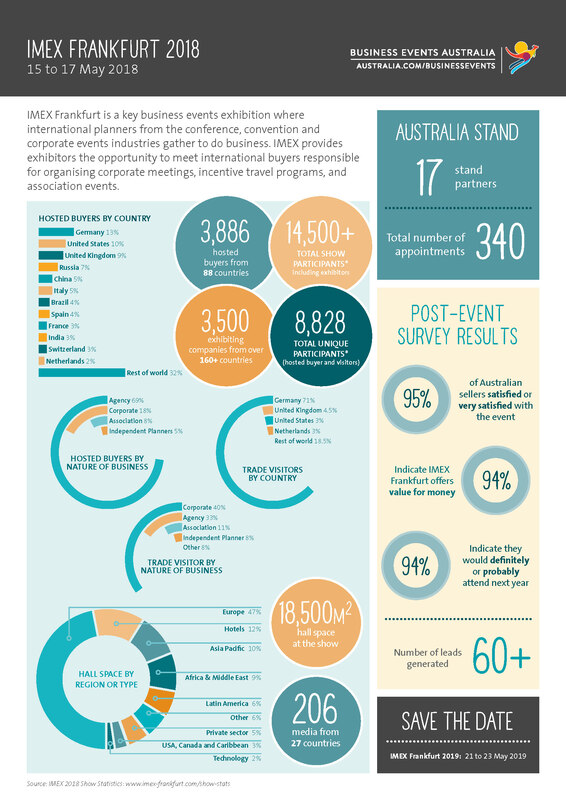 IMEX is much loved as an annual opportunity for event planners to meet face to face with destinations, venues and hotels – to make connections, find new ideas and put plans into action. But IMEX is driven by a bigger purpose. Expect expert speakers, brand-new ideas and plentiful inspiration at 250-plus educational and networking events – and an exhilarating exhibition. Join us at IMEX 2019.